ERP software/system is essentially a group of business systems that link up different departmental functions for business automation, planning and collaboration. According to the different industries’ needs, there are many functional modules like purchasing, warehouse, production, sales, project & service management, customer relationship management (CRM), etc. Palazon ERP system (PalaERP) is built on open, flexible, service-oriented architecture (SOA) with centralized robust database, modern and web-based user interface. Its scalability allows you to extend or reduce the features according to your needs. Its centralized data storage and web-based interface provide the flexibility of user access, reduces the investment on hardware and software for both servers & workstations. Optimized business logic: greatly improves business efficiency. 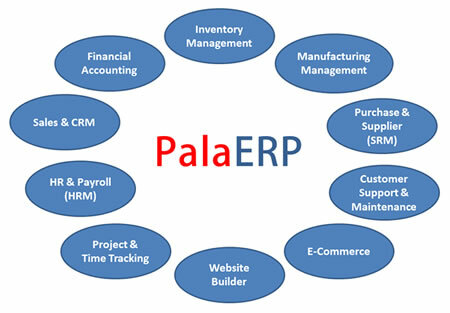 Contact us now to learn more about Palazon’s ERP solutions.